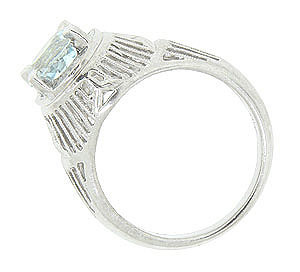 Repeating radiating links make up the mounting of this platinum Art Deco engagement ring. 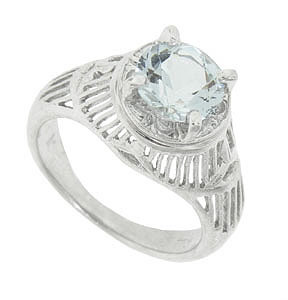 A 1.59 carat aquamarine stone sits in the center of this lovely mounting. The inscription reads "HPW". Circa: 1920. 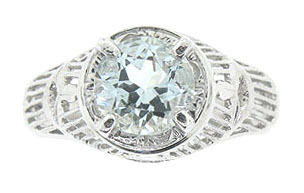 The ring measures 11.00 mm in width. Size 7 1/4. Can be resized.